Beaducation: The Blog: Run for the border!!!! Or should I say "Stamp on the Border." I love these new circle stamps... They make a great border on the circle blanks and flowers. Grab one while they are hot! Click over and scroll down. 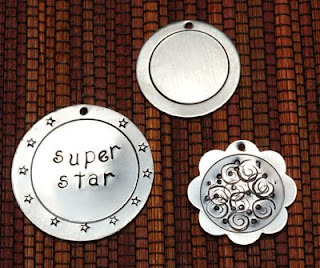 You will also see our other new design stamps as well.